SCS’s emergency response services allow your company to put an emergency response plan in place to ensure the safety and health of your staff during critical emergency operations or incidents. Look to our expertise in safety, health and security services and contingency planning to help create the ideal plan for safe operations for your company. A “disaster” is a large-scale emergency although even a small emergency left uncontrolled may turn into a disaster. Sometimes a small incident is too large for some companies to overcome the issues, thus a good plan and practice of the plan will help to mitigate any emergency. 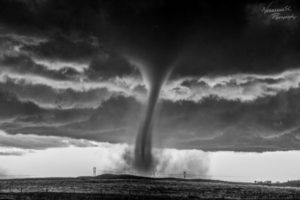 Mitigation is defined as “sustained action that reduces or eliminates long-term risk to people and property from natural hazards and their effects.” Mitigation is the ongoing effort to lessen the impact disasters may have on people and property. 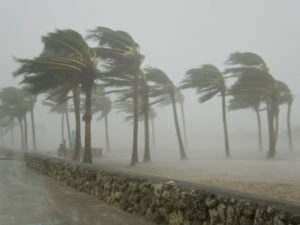 Mitigation involves such activities as avoiding construction in high-risk areas such as floodplains, engineering buildings to withstand wind and earthquakes, and more. Preparedness is simply preparing for an emergency before it occurs. Obviously, it is important to not just plan, but to prepare as well. The key to effective emergency management is being ready to provide a rapid emergency response. Being ready includes training and exercises as well as logistics. Government agencies at all levels have an obligation to prepare themselves and the public for emergencies. Community groups, service providers, businesses, civic and volunteer groups, are all partners in this effort. Everyone needs to be prepared. Response includes the action of responding to an emergency. Trained and equipped personnel will be required to deal with any emergency situation. Recovery is the process of returning to normal. Salvage, resumption of business processes, and repair are typical recovery tasks. 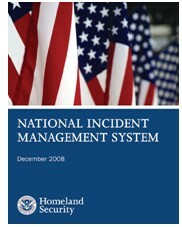 The Incident Management System (IMS) provides a management structure and system for conducting on-site operations. It is applicable to small scale daily operational activities as well as major mobilizations. IMS, provides command center and operational staff with a standardized operational structure and common terminology. Because of this, IMS provides a useful and flexible management system that is particularly adaptable to incidents involving multi-jurisdictional or multi-disciplinary responses. IMS provides the flexibility needed to rapidly activate and establish an organizational format around the functions that need to be performed. Once the plans are finalized, training on the contingency plan is necessary to ensure its smooth and successful implementation. The documentation in the plan should be detailed enough to provide the step-by-step guidance needed. You can’t expect staff to pick up a plan during a crisis and read about what they should do. All parties involved will need to be trained on all of the new procedures or practices envisioned under the plan as well as on what their assigned roles will be. The best training practices include walk-through, tabletop exercises, and functional simulations. For the most critical planning areas, full dress rehearsals involving a combination of tabletop and functional exercises will be required to fully test your plans and your ability to execute and monitor them. This testing process will also uncover any flawed assumptions in the plan. National Incident Management System (NIMS) – is a series of web-based and classroom courses that identifies concepts and principles that answer how to manage emergencies from preparedness to recovery regardless of their cause, size, location, or complexity. NIMS provides a consistent, nationwide approach and vocabulary for multiple agencies or jurisdictions to work together to build, sustain and deliver the core capabilities needed to achieve a secure and resilient nation. Consistent implementation of NIMS provides a solid foundation across jurisdictions and disciplines to ensure effective and integrated preparedness, planning, and response. 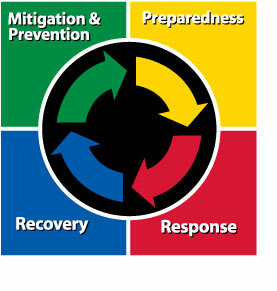 NIMS empowers the components of the National Preparedness System, a requirement of Presidential Policy Directive (PPD)-8, to guide activities within the public and private sector and describes the planning, organizing, equipping, training and exercising needed to build and sustain the core capabilities in support of the National Preparedness Goal. Call today for information and pricing on Emergency Response Planning and Programs. (703)-779-7330.